It seems almost hard to believe that we’re already 60 percent of the way through the One Fifth experiment. 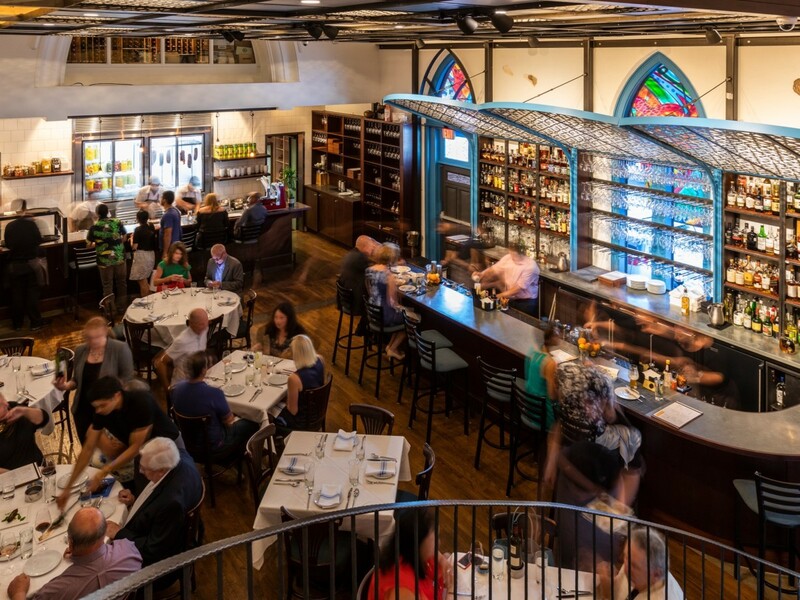 Having begun life as a steakhouse, chef Chris Shepherd’s restaurant that changes its concept every year shuttered its European-inspired Romance Languages iteration on July 1 and opened as One Fifth Mediterranean last week. 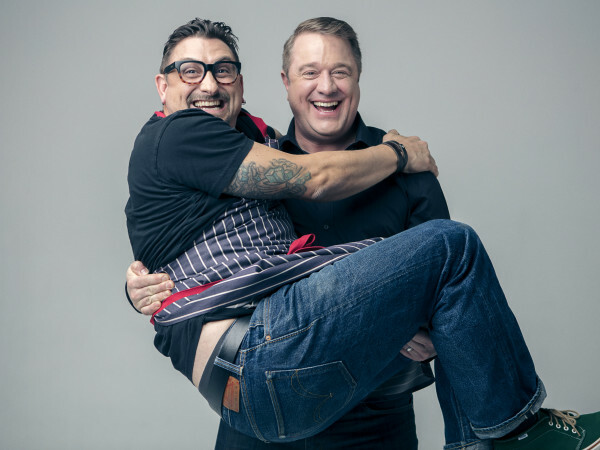 If One Fifth Steak felt like Houston’s hottest restaurant — or at least successful enough that it inspired Shepherd and his business partner Kevin Floyd to give the concept a permanent home as Georgia James (slated to open by the end of the month) — Romance Languages seemed less essential. Not to say it was bad, some of the dishes will certainly be missed; but colloquially, I saw fewer bowls of duck heart bolognese on social media than I did baller boards. 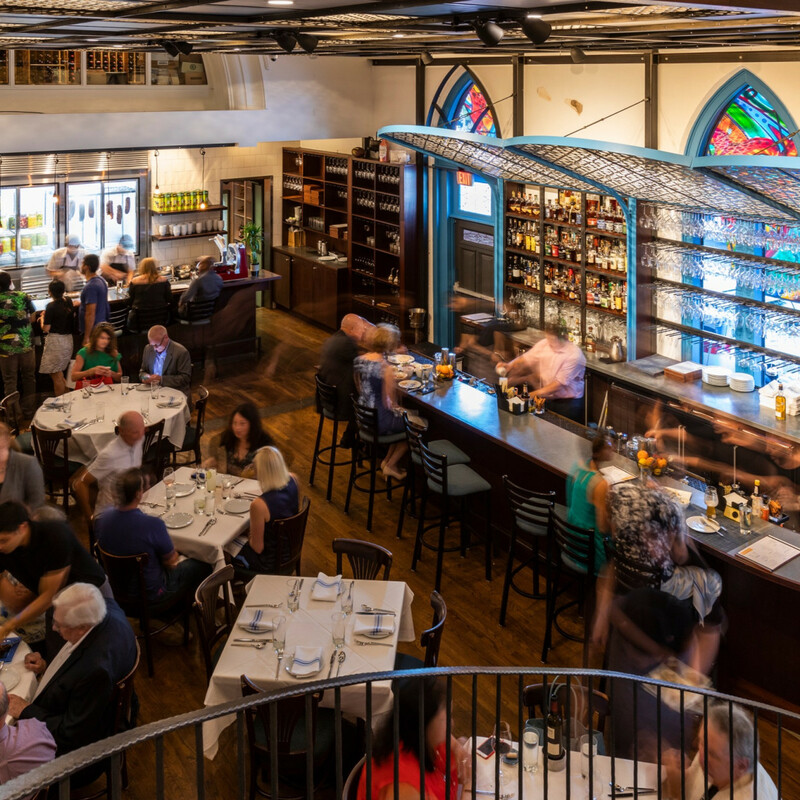 Mediterranean seems poised to recapture some of the steakhouse’s magic. 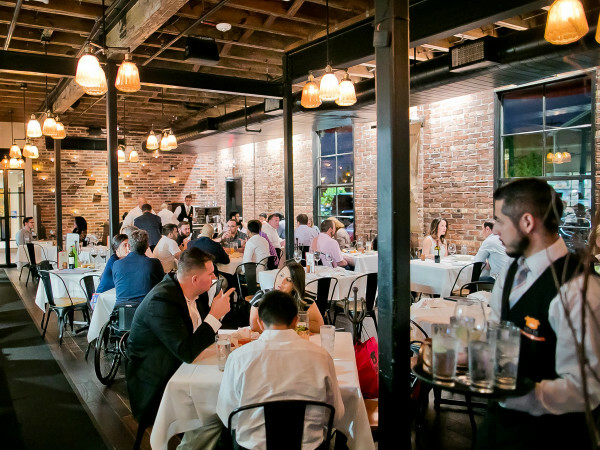 The cuisine, which takes its inspiration from the Eastern Mediterranean and Northern Africa, has become trendy nationally, but Houston has yet to see a restaurant that elevates the cuisine in the way Shaya or Zahav have in New Orleans and Philadelphia. Speaking of Zahav, Shepherd, culinary director Nick Fine, and chef de cuisine Matt Staph spent a few days at the award-winning Israeli restaurant to learn more about the proper way to prepare cuisine from the region. With all that in mind, I rounded up a few friends for a first visit to OFM. All five of us arrived eager to sample the restaurant’s new cuisine and take in its new look. We considered taking the restaurant’s “sightseeing tour,” wherein the kitchen selects dishes from each section for a fixed price of $60 per person, but instead opted to order a la carte. Ultimately, we settled on three of the dips, all of the salads (labeled Salatim), three of the mezze plates, five of the skewers from the Al Ha’esh section, two of the grains, and a lamb shoulder from the family-style section. The meal got off to a strong start with the dips. 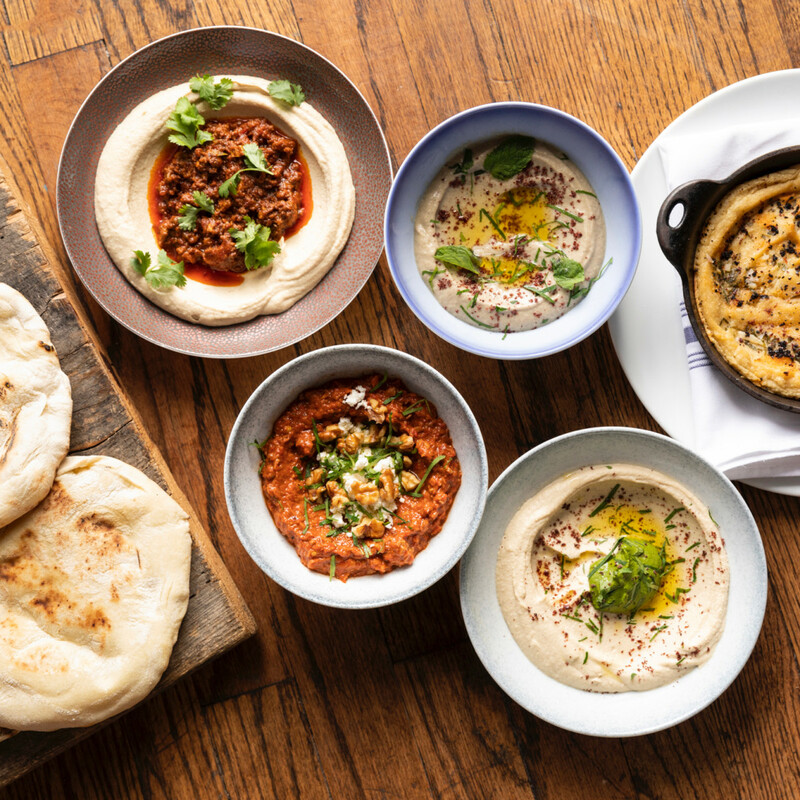 Pita, fresh from the wood-burning oven (now labeled a taboon), gets matched with both the daily hummus, which came with spicy ground lamb, and the house hummus, which gets a lift from green tehina. 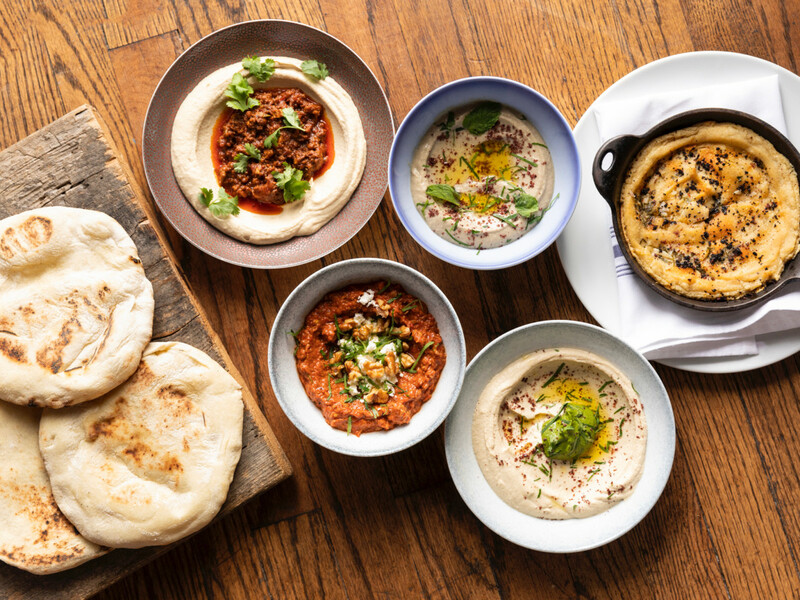 While we’ve all had hummus, both at restaurants and from the grocery story, this restaurant’s take transcends them all with its incredibly smooth texture and surprising depth of flavor. They disappeared quickly. Salads received a more mixed response. The pickled vegetables in the Persian-inspired torshi seemed more like an upscale escabeche, but the coffee-roasted beets with carob labneh received a more favorable response. Labneh, essentially cucumbers in a yogurt dressing, didn’t make much of an impression. As one would expect from their prices (three for $18 or five for $28), the portions are fairly small. 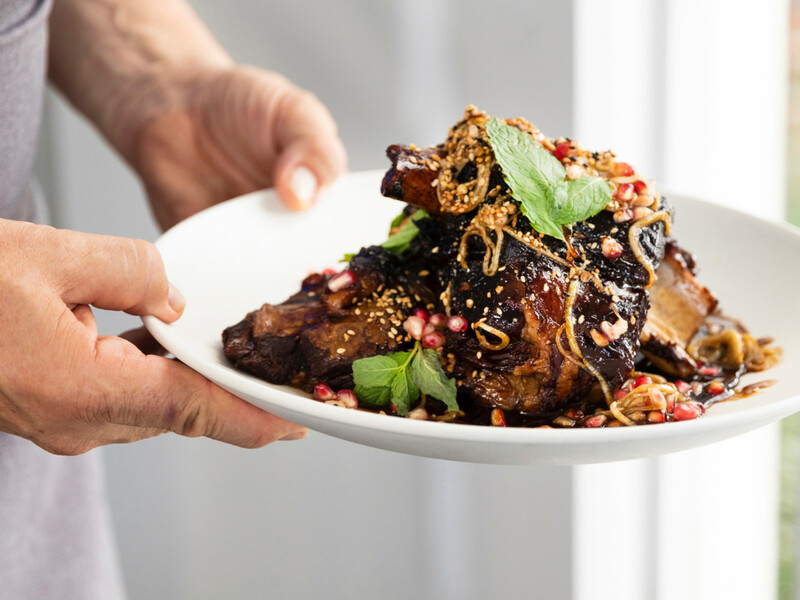 Shepherd has always been adept at creating flavorful small plates, and the Mezze section continues that success. Roasting tomatoes in the taboon and pairing them with feta amps up the sweetness and adds a pleasantly savory tang. Kibbeh, essentially a lamb tartare, delivers with its garlic puree, mint leaves, and flatbread. Cheese lovers will want to order the kataifi-wrapped haloumi; the crispy crust matches well with the creamy filling. The skewers offer some accessible bites at a reasonable price (only $12 each), but they’re also small; our server said they contain about three ounces of protein. Bycatch (redfish the night we dined), flat iron steak, and mushrooms with black lime and a little spicy harissa emerged as our favorites. Gamey lamb sweetbreads and a sliver of octopus are both skippable. An order of tah dig proved similarly controversial. The classic Persian dish is a staple of large family gatherings, but preparing it in a restaurant can be tricky. We liked the flavors, but it lacked the crispy texture that’s a signature component of the dish. The menu offers so much lamb that One Fifth has started purchasing and butchering the animals whole, just like Shepherd did at Underbelly. 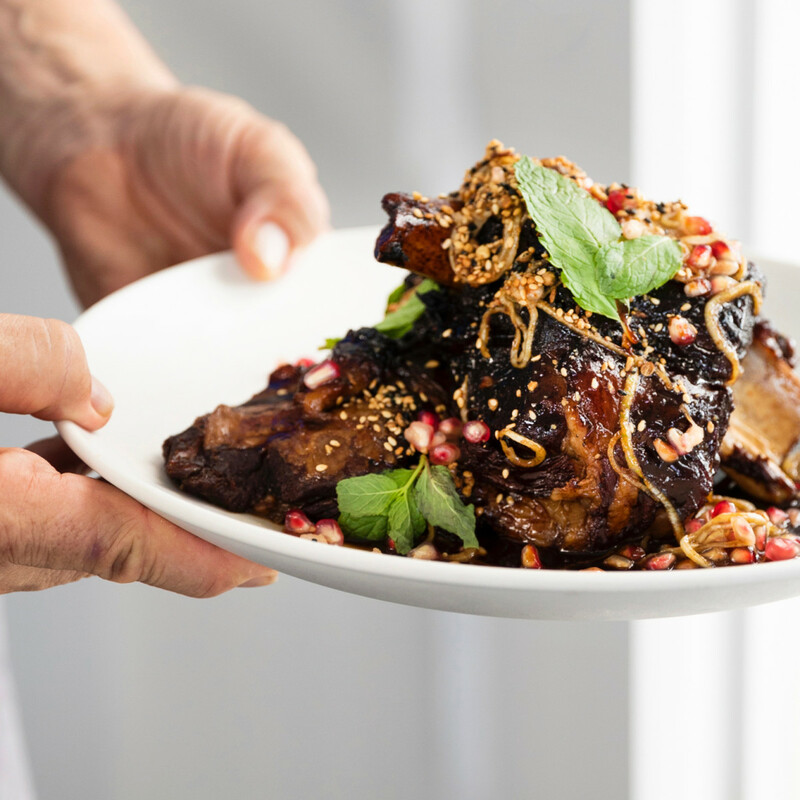 At $75, the braised lamb shoulder is both the largest and most expensive preparation. The preparation keeps the meat most, and it gets a subtle sweetness from a pomegranate and cherry glaze. Despite feeling fairly content at this point, we felt we owed it to pastry director Victoria Dearmond to try three of the desserts. Pecan baklava with labneh custard emerged as a favorite, followed by a solid take on babka, the Jewish sweet bread. Halva custard struck some as too sweet and others as just right. With a cocktail to start and a bottle of wine with entrees, the bill for five people came to about $440 with tax before tip. I immediately flashed back to the dinner I had at Aladdin the week before where a chicken kabob with hummus, rice, and salad cost $15. Undoubtedly, everything about the meal at One Fifth is more refined: cooking techniques, quality of ingredients, a more comfortable environment, full service instead of a cafeteria line, etc. Is it $85-ish per person better? Maybe as an occasional splurge, but I’ll probably wait to see how the menu evolves before planning another visit. Or I’ll sit at the bar for hummus and a small plate or two instead of committing to a big ticket feast. Even then, I’ll probably take the restaurant up on that $60 sightseeing tour, even if that means I’m most likely trading the high dollar lamb for the yogurt-marinated chicken. It’s obvious that Shepherd and his team have put a lot of thought and passion into this new iteration of One Fifth. Personally, I’m far more excited about it than I was about Romance Languages. 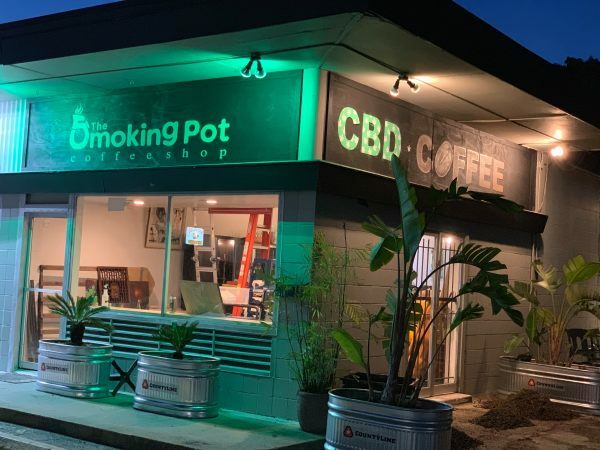 Houston doesn’t have a restaurant like this, and it deserves one. I don’t know whether it will take off like the steakhouse did; but I kind of hope it does.